New Right to ask Attorney General to try Channel 13 anchorwoman over her statements against IDF soldiers. 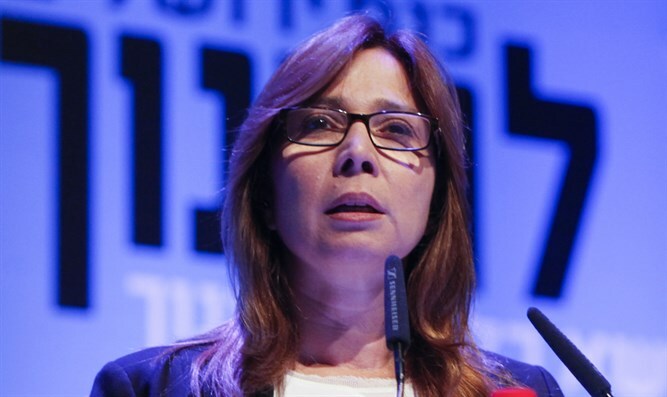 The New Right party will on Sunday ask Attorney General Avichai Mandelblit to put Channel 13 News anchorwoman Oshrat Kotler to trial under section 4 of the Defamation Law, following her on-air statements against IDF soldiers. Kotler, who hosts Channel 13 News’ Saturday night newscast, made the comments following a story about soldiers from the haredi Netzach Yehuda battalion who are suspected of badly beating two bound and blindfolded Palestinian Arab suspects following their comrades’ deaths in the terrorist attack in Givat Assaf. "We send our children into the army, to the territories and receive 'human animals’. This is the result of the occupation,” declared Kotler. She later sought to clarify her comments, saying, "I want to stress so that you understand: My children, and also their friends, have been combat soldiers in the territories for many years, even my friends. My criticism was directed only at those soldiers who have been driven to harm innocent people due to our control over the Palestinians in the territories. I will add that anyone who really listened to my words and did not rush to criticize me online, understood that I was in favor of easing the punishment of the accused soldiers because we sent them to this impossible reality. Is that good enough for you? I will continue to express my opinion on this program. You will not succeed in silencing me!" Parents of soldiers from Netzach Yehuda slammed Kotler’s remarks. "This is an unfortunate and ugly statement," they said. "Our sons joined the IDF out of a sense of mission, of Zionism. They chose a difficult and challenging track and they did not ask for concessions. These are the best of Israel's sons, and they walk upright despite the fact that they lost two of their comrades. Kotler sleeps well at night because of them, yet she wants to determine their fate."